Get a little taste of the big cultural flavor of Iceland this weekend in Chicago. 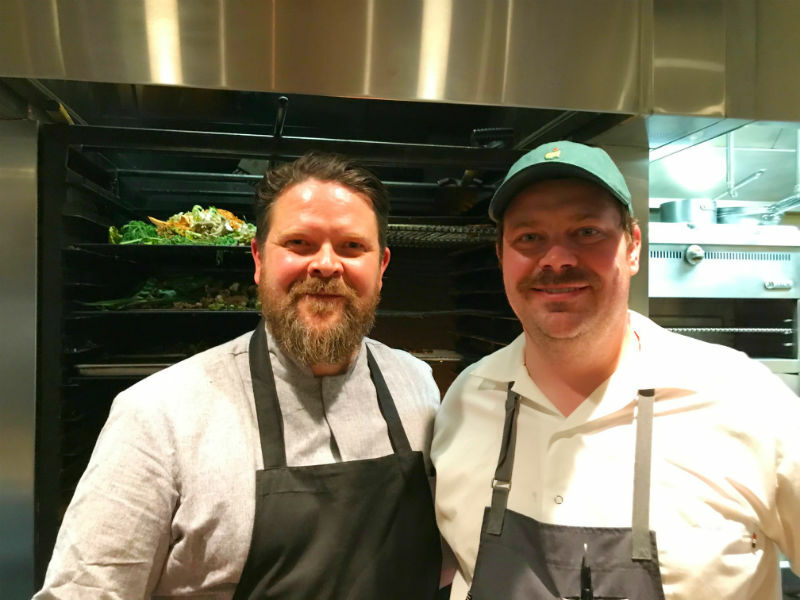 Published April 10, 2019 at 11:30 p.m.
CHICAGO – Everyone seems to be going to Iceland these days – and sometime soon I hope to join them – but if, like me, you're not quite able to get to Reykjavik yet, you can get a taste of Iceland this week in Chicago. The annual Taste of Iceland, a four-day event presented by Iceland Naturally – a cooperative marketing group promoting Icelandic products and culture – returns Thursday through Sunday with a series of unique events that showcase Icelandic cuisine, music, film and more. The first Taste of Iceland, in 2016, was so popular that its run was extended. This year, the Michelin-starred Elske, 1350 E. Randolph St. near the happening Fulton Market/West Loop neighborhood, will host an Icelandic popup menu – created by the restaurant's Chef David Posey, along with Chef Gunnar Karl Gislason of the Michelin-starred Agern, located in New York's Grand Central Terminal – for the duration of the festival. Icelandix mixologist Tóta will offer her unique cocktail concoctions at the event, dubbed "Fire & Ice." 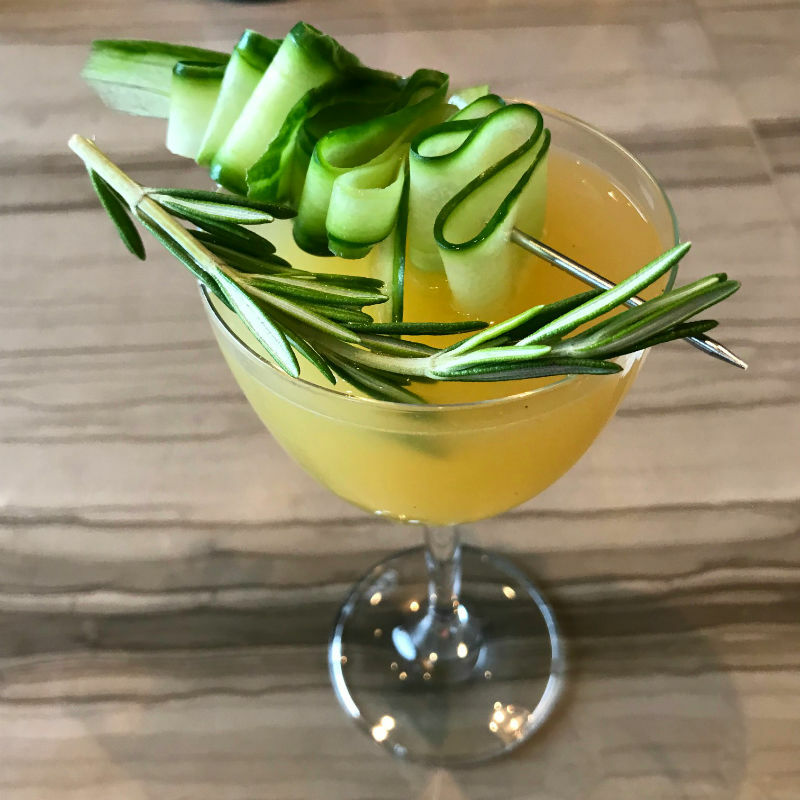 Tóta and American bartender Adam Peabody will also share cocktail secrets at "The Spirits of Iceland," a cocktail class at LH on 21, 85 E. Wacker Dr., 21st floor, from 6 until 8 p.m. on Thursday. On Friday, Kælan Mikla keyboardist and vocalist Sólveig Matthildur will perform at 10 p.m. at The Underground Chicago, 56 W. Illinois St.
Saturday finds the free "Shortfish: Iceland's Premier Short Film Festival" at the Logan Theatre, 2646 N. Milwaukee Ave., from 11:30 a.m. Cocktails will be available from 1 to 1:30 p.m.
That night three Icelandic bands will perform at Reykjavik Calling at Martyrs', 3855 N. Lincoln Ave., beginning at 8 p.m. Check out Hildur, WINGTIPS and Kælan Mikla for free. Ages 21 and up. The festival wraps up on Sunday with "The Landscape of Icelandic Literature," from 11:30 a.m. until 1 p.m. at evolveHer, 358 W. Ontario St., during which Stella Soffía Jóhannesdóttir – acquisitions editor for Forlagid, Iceland's biggest publisher and the director of the Reykjavík International Literary Festival – and Words Without Borders Editorial Director Susan Harris will take part in an interactive conversation about the state of Icelandic literature and the challenges that the country's writers and publishers face. We got an early taste Thursday night of Tóta's seasonal cocktails and the plates that Chef Gislason (at left, above, with Elske's Chef David Posey) will serve at Elske as part of the festival. 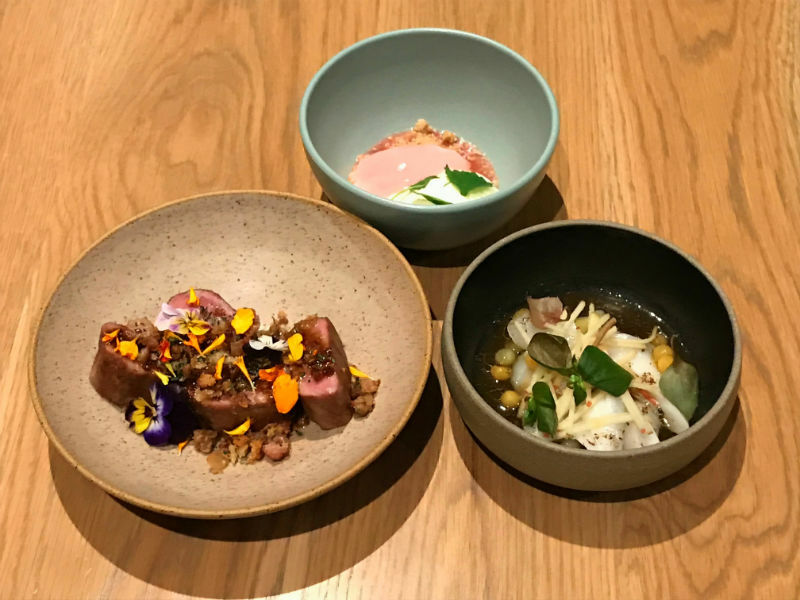 "We brought some main ingredients from Iceland," says Gislason, "like cod, Icelandic lamb and spices like Angelica seeds and seaweed." He and Posey used those ingredients to create dishes like a sublime lamb filet with crispy lamb fat, arctic thyme and Nordic wasabi; an infused salt-baked celeriac dumpling with goat cheese, cress and a stunningly potent hazelnut flavor; and a fresh cod soup with apples, potatoes and brown butter, to name but a few. Meanwhile, the talented and personable Tóta – nee Þórhildur Kristín Lárentsínusdóttir – concocted a quartet of seasonal drinks based on Reyka vodka and Brennivin liqueur matched with stalwarts like rhubarb, spring cucumbers and the rare crowberry that hinted at the unique flavors of Iceland. 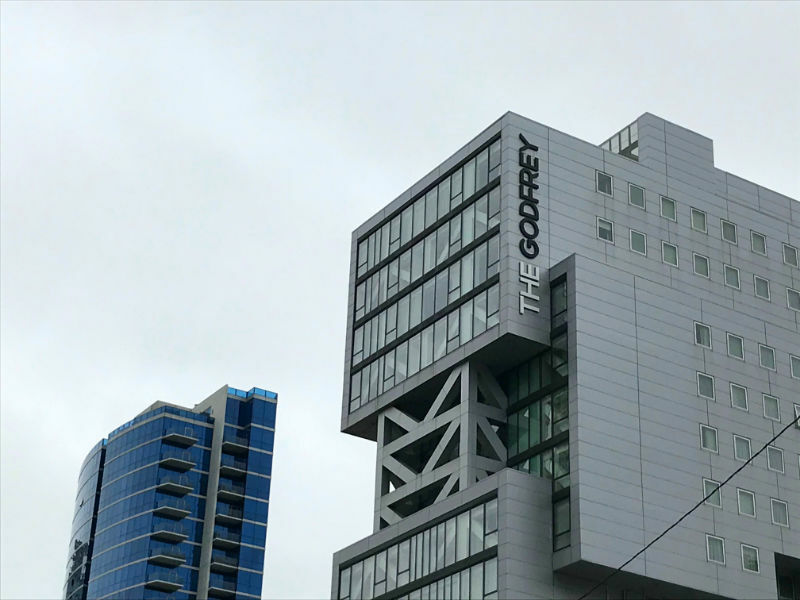 If you make it down for the festival, consider extending your stay and taking a room at the boutique Godfrey Hotel, located in River North. 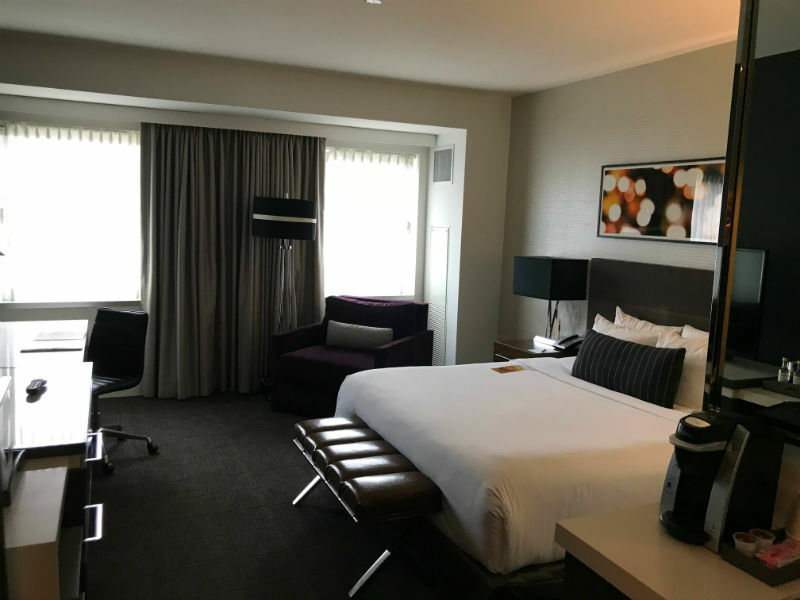 The comfortable, contemporary rooms are housed in an eye-catching modern high-rise, with a great rooftop lounge (happy hour is 3-6 p.m.) and a lobby brunch restaurant. Just a couple blocks from both the red and the brown CTA train lines, you can get anywhere in town in minutes from here and the skyline views from the rooms are pretty great. Wisconsin's pitch to disenchanted Chicago millennials: "It's more you."